Closed from December until March 15th. 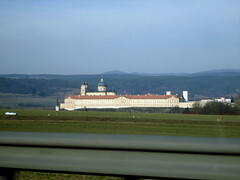 The area of Melk, in the southern region of Austria, has long been associated with Austria's spiritual past and this tradition continues to the present day. It is not surprising therefore to find one of the world's most impressive and magnificent monasteries located here. Originally, the residence belonged to King Leopold I. His descendant, Leopold II, gave the building to the Benedictine monks in 1089 and it has been under their control since then. 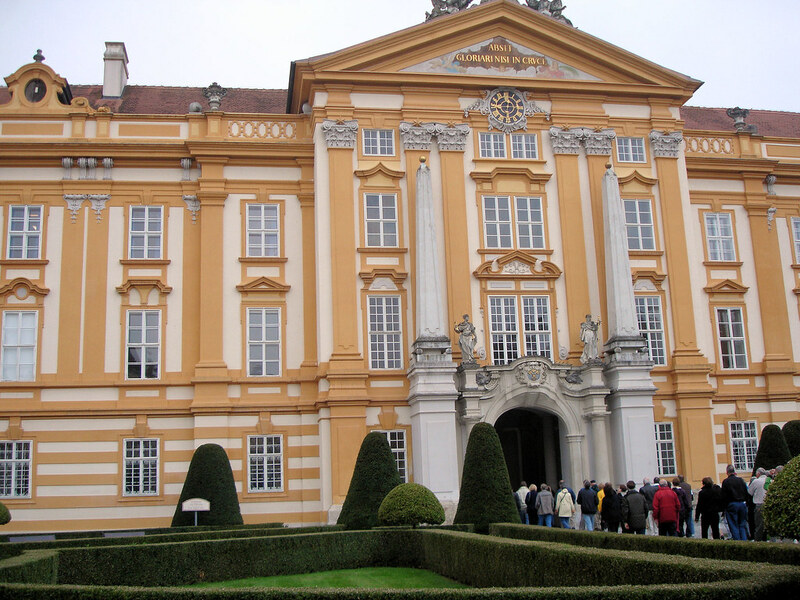 It is located high on a rocky hill, overlooking and dominating the town of Melk. The panorama from this vantage point includes the Danube River and the picturesque Wachau Valley. The Abbey has undergone many changes since the original Benedictine monks took control. During the 12th century a school was added and it is still operating today. The present structure was completed in the mid 18th century and has been built in the Baroque style. Over the years, the Abbey has amassed an outstanding collection of art works and medieval manuscripts and books. The library containing these works and collections is renowned throughout the world. The ceilings, walls, doorframes (some of which are pure marble) and floors are all heavily and intricately detailed in mostly Baroque art. Everywhere you turn you are greeted with stunning vistas. More recent renovations have taken place over the years that have made the Abbey very tourist friendly. Tourists are well catered for and guided tours are available which will take you to many but not all parts of the Abbey. There are plenty of places to eat and the grounds surrounding the Abbey are magnificent. A must see is the baroque garden pavilion and the 250 year old linden trees. It is wise to check on opening times as they change throughout the year. You need approximately two to three hours to see the Abbey and 30 to 45 minutes to view the garden. Allow for longer if you want to have a meal. 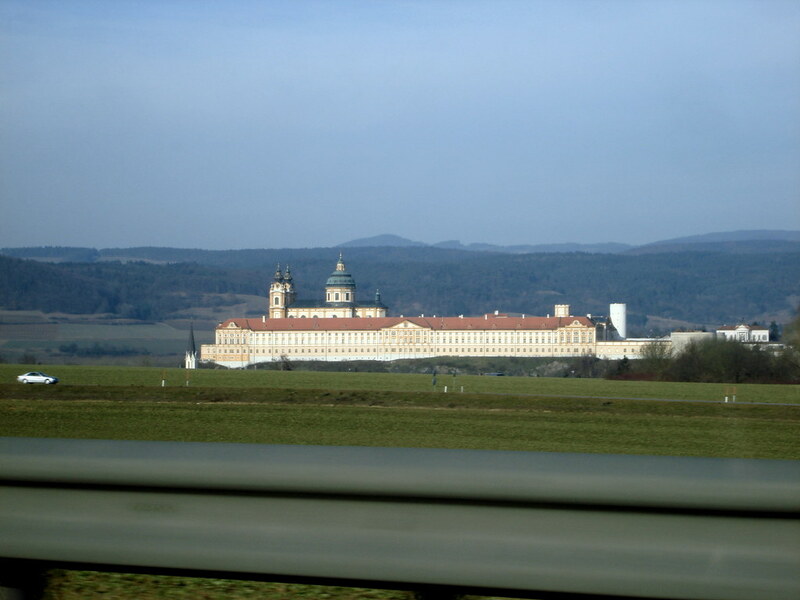 Have you already visited the Stift Melk? If so, let everyone know what you thought about it by writing a review! No registration necessary. Just click here to start writing! View all Stift Melk Pictures.